How To Block And Unblock Someone On Facebook:- Ever wanted to smack your head because of someone on Facebook? Really? Why should you get that far because of someone so irritating? You could just block them and be done with it instead of hurting yourself over someone who’s so worthless. Most of the users are not aware of this fact and once they are educated about this, a lot of lives are going to change! So what if you were wrong the entire time? What if the bad guy was actually the good guy? Oh, don’t worry, we always have ways to unblock them. 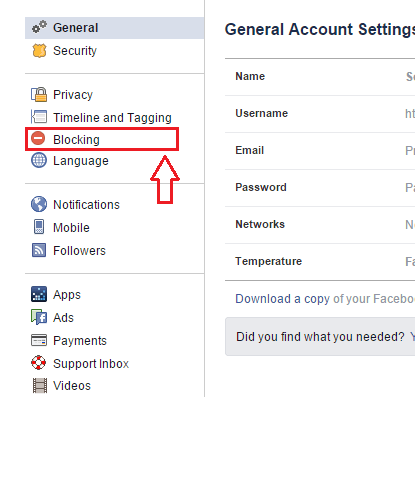 Read on, to learn how to block and unblock someone on Facebook the easy way. 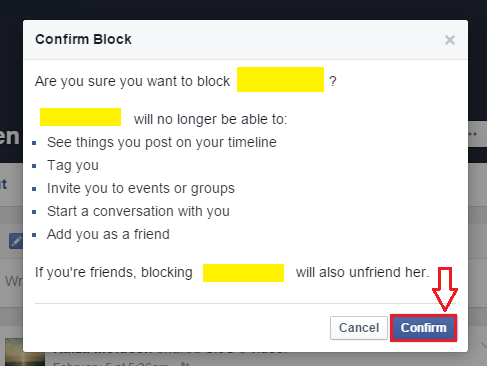 Go to the profile of the person that you want to block on Facebook. Now click on the 3 dotted icons at the top right corner of their profile. From the menu that gets expanded out, click on the option Block. You will be asked to confirm the Block that’s about to be set. If you block this person, they will no longer be able to see you on Facebook, chat with you, tag you in a picture or a post, see the things that you post on your timeline, add you as a friend etc. If you are still sure that this person deserves nothing but a block, click on the Confirm button. You need to click on the Down arrow at the top right corner of your Facebook page as shown in the following screenshot. 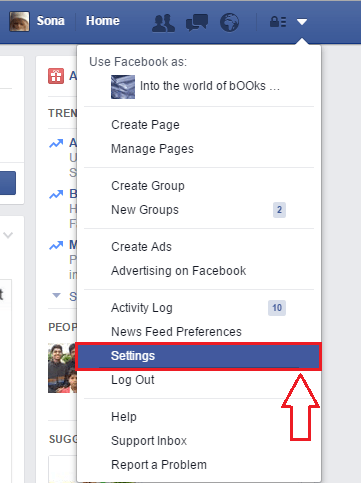 As next, click on the option named Settings. Now from the left pane of the webpage that pops open, find and click on the option that says Blocking. In the right pane, you will see a section for managing blocks. Find the subsection that’s named Block users. You will be able to see all the users that you have so far blocked on Facebook right under the Block users field. Find the person that you want to unblock. There will be a link that says Unblock associated with that person. Click on that link. This will again lead to a confirmation window. 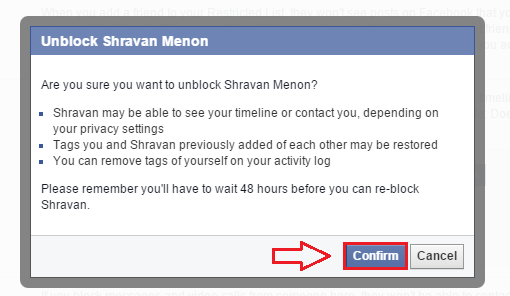 Click on Confirm button only if you are so sure that you want to unblock this person. Because once you unblock this person, you will not be able to block him/her again in another 48 hours. That matters a lot as anything can happen in 48 hours. So that’s how simple how you can get rid of someone so annoying on Facebook. And once you feel like they have changed or you change your mind about them, you can unblock them as well. Hope you found the article useful.